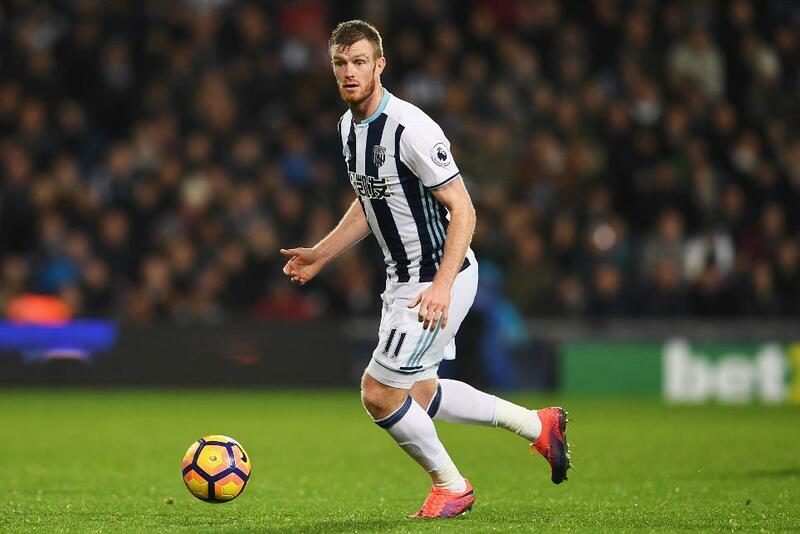 Chris Brunt (£5.1m) earned the maximum Fantasy Premier League bonus points in West Bromwich Albion’s 1-0 victory over Stoke City. Scoring 33 in the Bonus Points System (BPS), the left-back completed 79% of 44 passes, three of which led to goalscoring opportunities. Brunt also registered two successful crosses from open play, three clearances, blocks and interceptions (CBI), seven recoveries and a successful tackle. Craig Dawson (£4.8m) collected two bonus points, with 30 in the BPS. The right-back made 17 CBI, seven recoveries and a successful tackle to help Tony Pulis’ side to a second successive clean sheet at The Hawthorns. Gareth McAuley (£5.0m) and James Morrison (£4.6m) were both awarded a single bonus, tallying 25 in the BPS. McAuley made 13 CBI and five recoveries to nullify the Potters’ attack, while Morrison struck the winner and completed 84% of 33 attempted passes. Morrison ultimately missed out on maximum bonus points as he was caught offside twice and also committed three fouls. Morrison claimed top spot in the ICT Index with a modest score of 7.5. 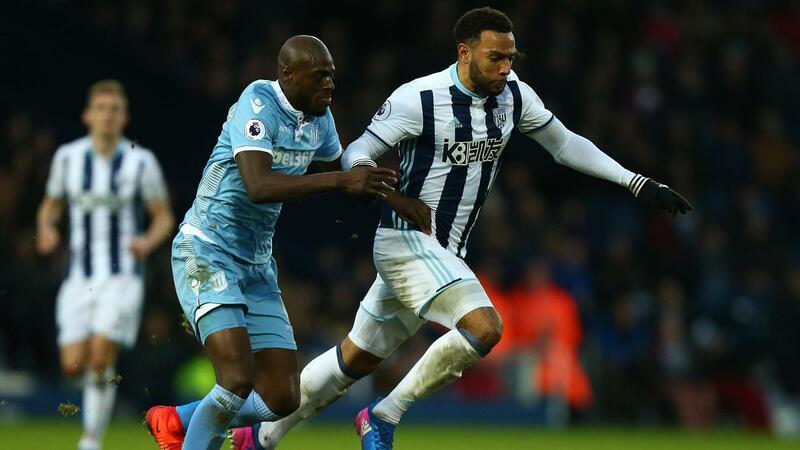 The West Brom midfielder fired three attempts on goal, with two efforts inside the box, and also created a single scoring opportunity for the hosts. Nacer Chadli (£6.0m) ranked second in the Index with 7.2, mainly thanks to a Creativity score of 37 – the highest on show in Saturday's contest. He mirrored Brunt’s trio of key passes for the Baggies, providing the assist for Morrison’s winner, and also produced two attempts on goal. Brunt continues to provide a steady stream of FPL returns in front of his own supporters. He has delivered 61 points in his last seven home appearances, yet resides in only 3.8% of squads. However, team-mate McAuley remains the most popular pick in Pulis' defence. Claiming a 29.3% ownership, he has been drafted in by 21,000+ FPL managers since the weekend, with Brunt attracting just over 11,000 new owners. In midfield, Morrison has now scored in three of the last five Gameweeks, while Chadli has provided an assist in two of the previous three Premier League fixtures. The duo’s improved form comes at a time when Matt Phillips (£5.9m) and Salomon Rondon (£6.7m) are subject to significant sales after failing to produce returns in four successive Gameweeks. Phillips is the third-most transferred-out midfielder since the weekend, with Rondon placed fourth among forwards for Gameweek 25 sales. But those parting company should be aware that, at present, the Baggies are one of only six sides assured to play in both Gameweek 26 and 28 due to likely postponements caused by domestic cup matches. For Stoke City, Peter Crouch (£4.9m) failed to complete 90 minutes for the first time in six Gameweeks. The target man scored in four of the five matches prior to the Baggies trip, playing from start to finish on each occasion. But he was replaced by Saido Berahino (£6.0m) on 57 minutes as manager Mark Hughes looked to freshen up his options in attack. With a home encounter against Crystal Palace up next, Crouch’s 6% owners may be content to assess Berahino’s impact on his pitch time against the Eagles.